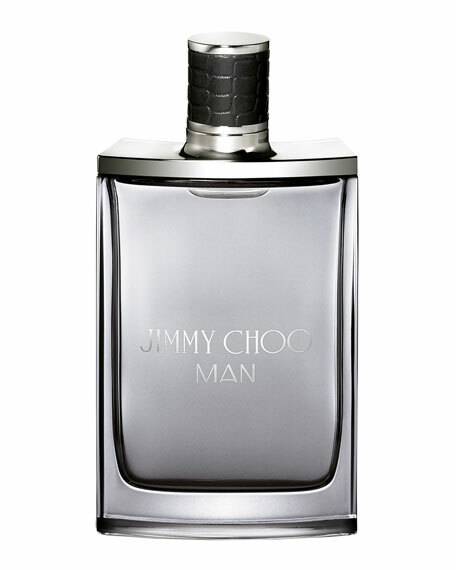 Introducing the first fragrance for men from Jimmy Choo. Jimmy Choo MAN Eau de Toilette is a powerfully fresh and modern fougere, created for a confident and refined man with a rebellious spirit. The effervescent signature fragrance combines distinctive materials: seductive lavender and fresh honeydew melon blend with pink pepper and pineapple leaf, while an elegant trail of patchouli leaves a lasting imprint. For in-store inquiries, use sku #272842.